Friday, Jan 17, 2014 - One page design submission document due to Lisa Hess at LHess@trojb.com. The Gulf Coast AIA is partnering with All Faiths Food Bank to host the 2014 Gulf Coast Canstruction at Westfield Southgate Mall in Sarasota. This is a great opportunity for professionals from the design and construction industry to give back to the community, as well as testing our design and construction skills with cans of food! Canstruction is a unique event that showcases colossal structures made entirely out of full cans of food. After the structures are built, the creations will go on display to the public as a giant art exhibition. At the end of the event, all food will be donated to All Faiths Food Bank, to help the underserved in our community. Canstruction was founded in 1992, and since then has grown to become one of the largest and most consistent canned food contributors to food banks in the world. Canstruction events have been held in over 150 cities worldwide donating over 21 million pounds of food to feed the hungry (www.canstruction.org). 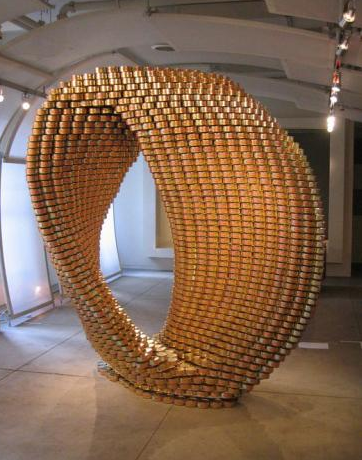 Check out an amazing gallery of past Canstruction winners. If you have any questions about the event, please contact John Bryant at jbryant@sweetsparkman.com or Lisa Hess at LHess@trojb.com. Thanks to our additional sponsors!